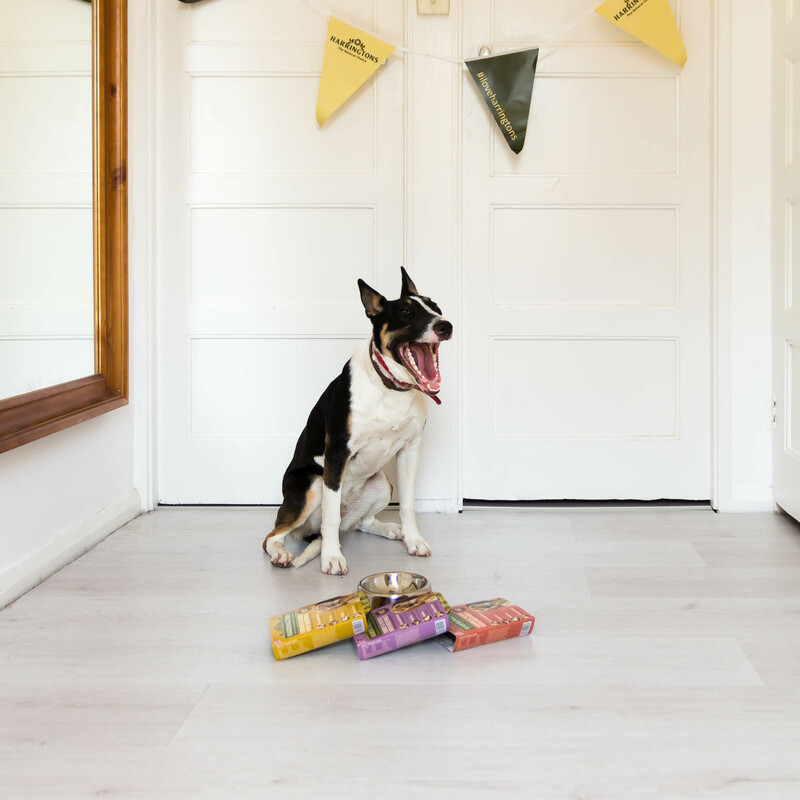 I recently hosted a Harringtons dog party for my own dog, Millie, my Mums whose lives with us during the day whilst she is at work and a few of their doggy pals. If you follow me on social media you will have seen that my SD card corrupted so unfortunately all of the cute and funny photos have been lost. 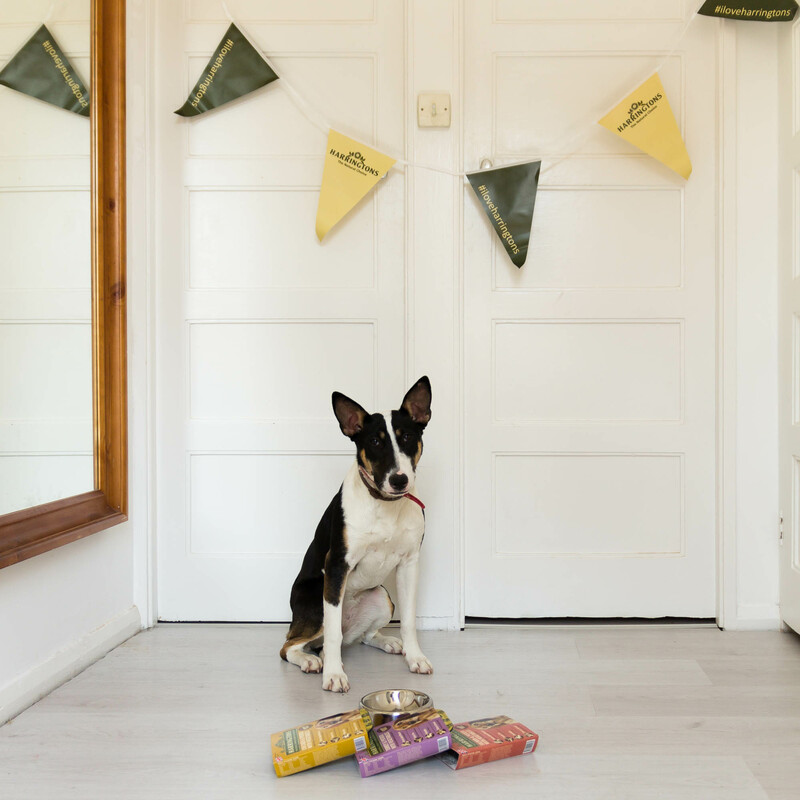 Millie enjoys being in front of the camera however so we have had a fun morning with her! In recent years my family dog, Sammy, has developed a gluten allergy. It was something that was making him very ill and it was being diagnosed by the vets as epilepsy (as the allergy caused him to fit). 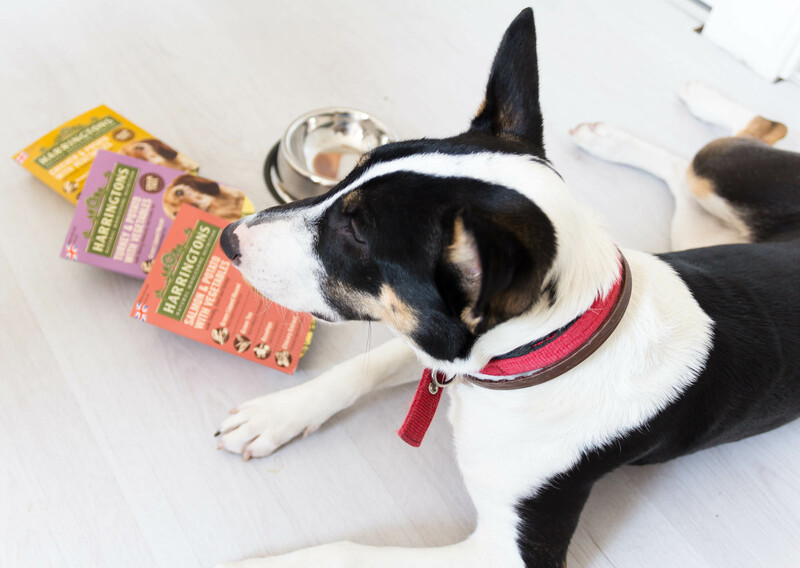 We eventually got so worried about him not getting better we looked around ourselves online and found that actually a lot of dogs are gluten intolerant as it is not part of their natural diet but is used heavily in dog food to bulk up the meals as it is cheap. He was suffering from all the side effects and has become so much healthier since we changed him to a gluten-free diet. 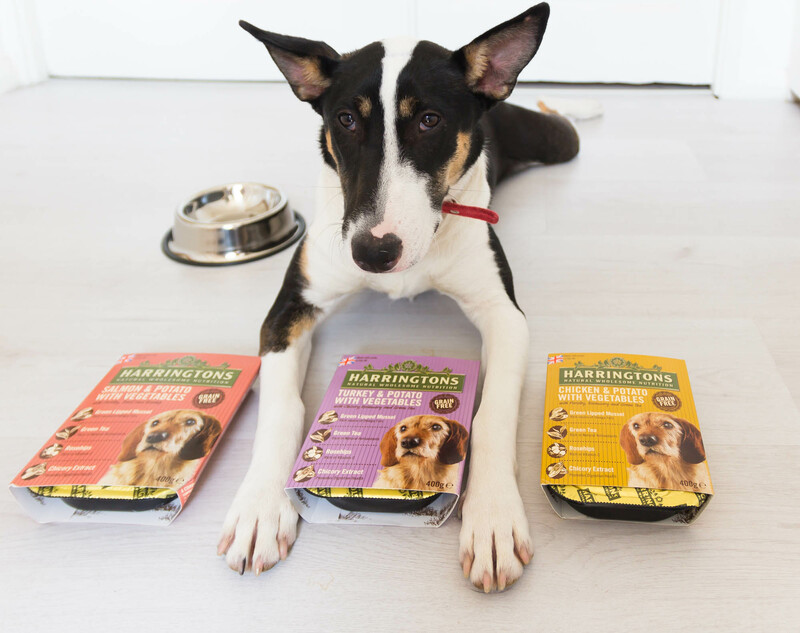 Millie doesn’t usually have Harringtons dog food, it is on the pricey side, but Sammy does as it is completely grain free. Between that and some of the Butchers gluten-free options he has a great diet with variety now. 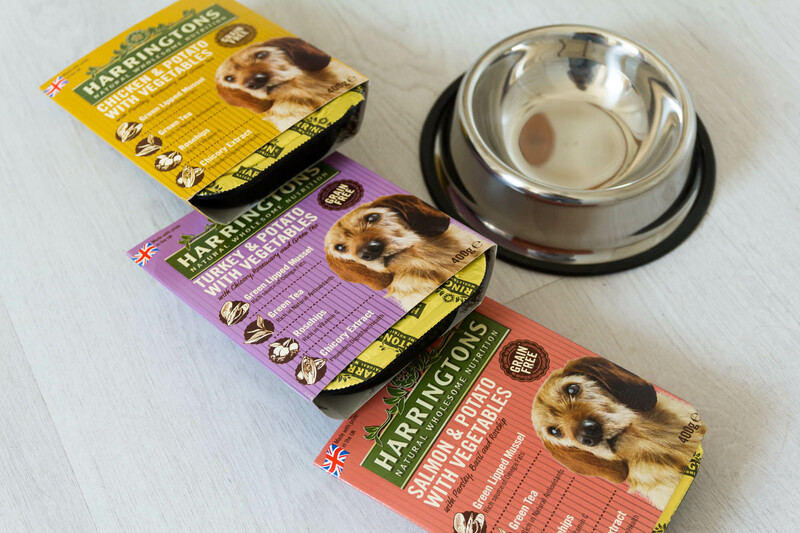 The provided Harringtons dog food is suitable for all adult dogs and is formulated to a Grain Free recipe, contains no artificial colours, flavours, or preservatives, soya or dairy. The meals also contain Green Lipped Mussel for a rich source of Omega Fats, Green Tea for Natural Antioxidants as well as Rosehips for Vitamin C with 100% natural healthy ingredients. 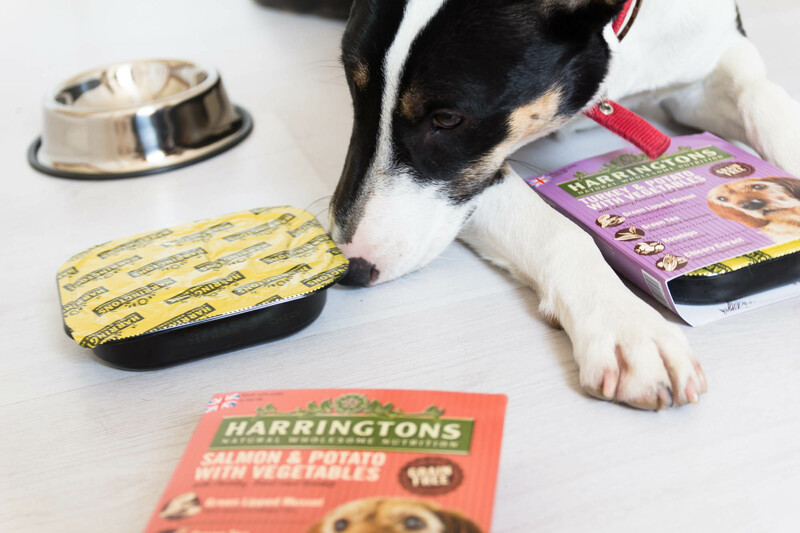 The meals in the Harringtons set are either Turkey, Chicken, Duck or Salmon all with potato and vegetables. 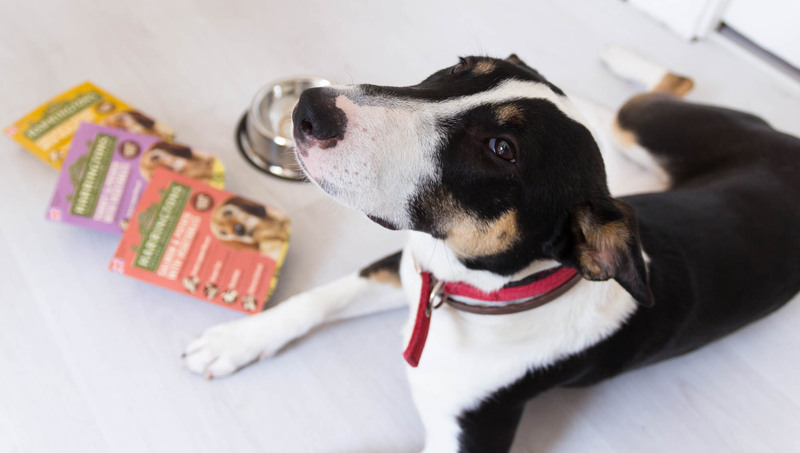 The dogs have loved them (not that I would know otherwise, they aren’t fussy eaters). The meals are also made in the UK which for me is a high selling point! 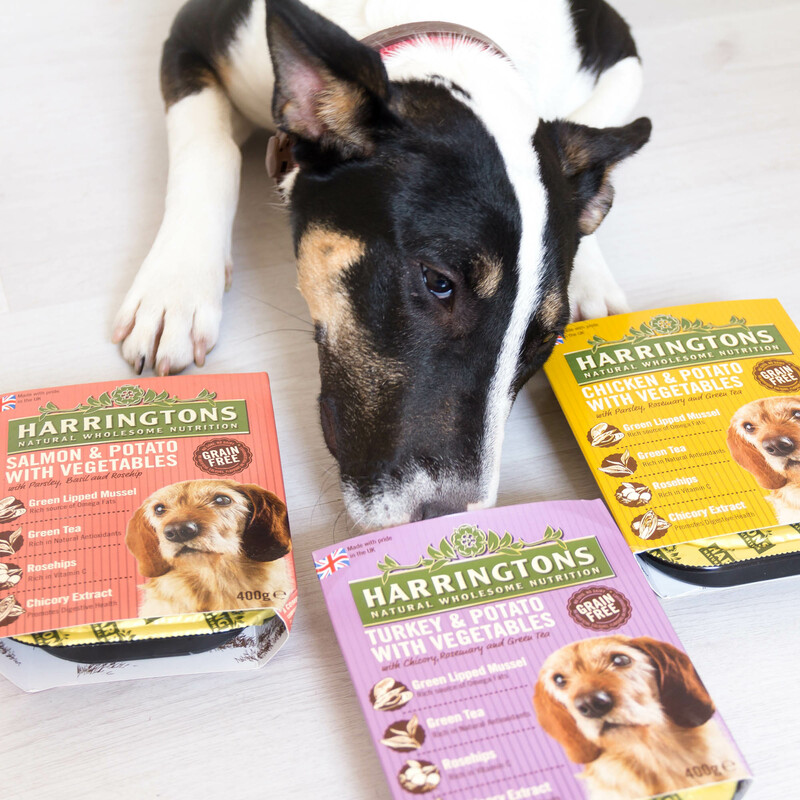 Thank you to Harringtons for a lovely dog party!